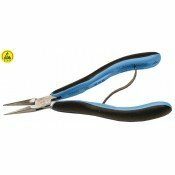 Electronics pliers. 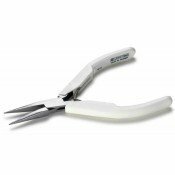 Lindstrom pliers, Goot pliers, Piergiacomi pliers. 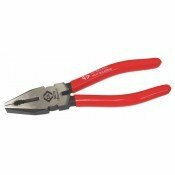 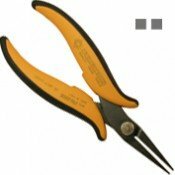 CK Tools T3621B 6 Classic Combination Pliers 160mm6” (160mm)Will cut 4mm Copper, 2.5mm Iron, 1.6mm S..
CK Tools T3621B 6 Classic Combination Pliers 180mm7” (180mm)Will cut 4mm Copper, 2.5mm Iron, 1.6mm S..
CK Tools T3867 6 Redline Combination Pliers 160mm6” (160mm)Will cut 4mm Copper, 2.5mm Iron, 1.6mm St..
CK Tools T3867 7 Redline Combination Pliers 180mm7” (180mm)Will cut 4mm Copper, 2.5mm Iron, 1.6mm St..
CK Tools T3867 8 Redline Combination Pliers 200mm***Only 2pcs left***8” (200mm)Will cut 4mm Copper, ..
Lindstrom RX01 Lindstrom Replacement SpringLindstrom Springs RX01 (Pack of 5) Suits all Lindstrom..
Goot YP-10 Serrated Long Nose Pliers 32mm jaw length Size 160mm (6.3") Weight 78gms ..
Lindstrom 7891 Snipe Nose Pliers - Serrated High performance alloy steel. 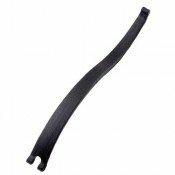 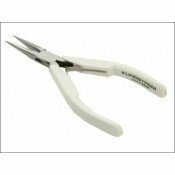 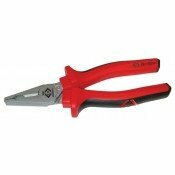 Tough hardened allo..
Lindstrom RX7891 Snipe Nose Pliers - Serrated Precision snipe nose pliers developed accoring ..